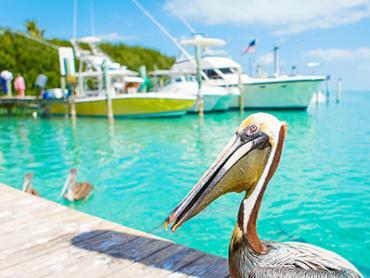 Thanks to Ernest Hemingway, the Marlin fishing Key West has to offer is truly legendary. 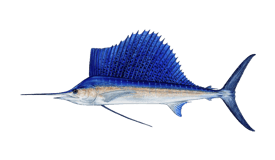 The hardest fighting of this species is Blue Marlin, just as depicted in The Old Man and the Sea. Specimens around here typically reach 11 feet and 200-400 lbs. The best part is, you don’t have to travel far to find them. 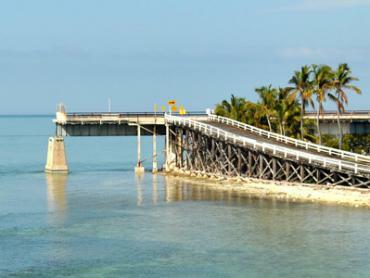 Perched at southernmost tip of the United States, Key West gives you access to the Atlantic Ocean as well as the Gulf of Mexico. If you’re fishing for Marlin, chances are you’ll head south into the warm waters of the Caribbean. 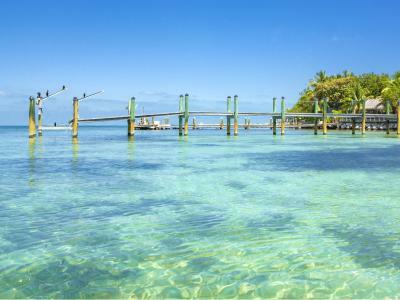 Six miles from the coast is the Florida Reef, and just beyond that lie the deep, clear waters of the Gulf Stream. This is Blue Marlin territory. Heading 19 miles south will bring you to a sharp drop off known as “The Wall.” Here, the seafloor takes a dive, dropping down to 2,000 feet below. 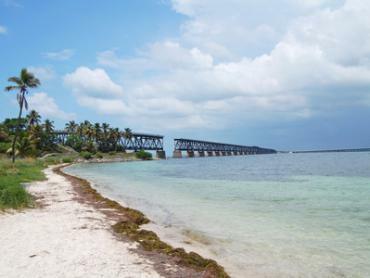 This is the best place to fish for Blue Marlin in all of Florida. You can catch majestic Blues here year-round, but the most productive months tend to run from late spring until fall. October and November are especially productive if the weather has been cold recently. 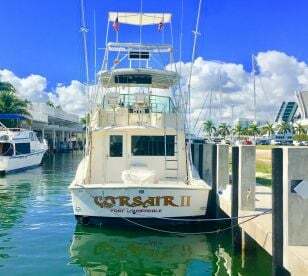 In warmer months, you can also catch White Marlin in these waters. Smaller than Blues, this species generally reaches 9 feet and a little over 200 lbs in size. 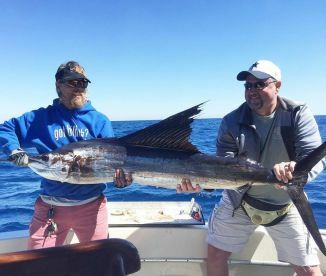 While the Marlin fishing in Key West is fantastic, keep in mind that this fish is few and far between. 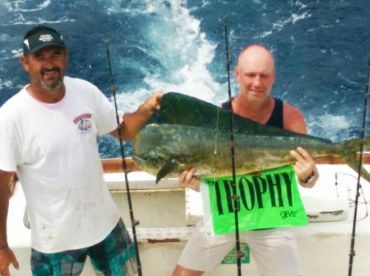 Trolling is the primary method of choice, since this allows anglers to cover more water in search of their target. 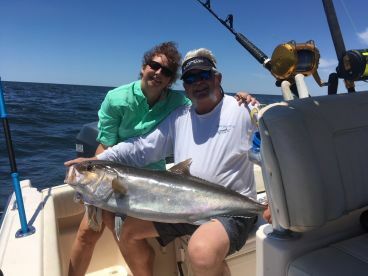 Depending on the season, weather, and other factors, your captain will decide how fast to troll and what bait is most effective. Count on using heavy tackle, usually a 130 lb outfit. You will also want to have a fighting chair at hand, or a fighting harness at the very least. Many anglers like to fast troll with dead bait (fresh, whole Mackerel) or lures. You might troll up to 16 knots with lures. At the Wall, tried and true color combinations include orange and yellow, red and white, and all black. 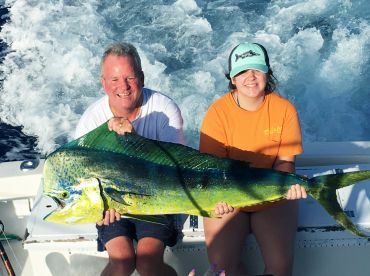 On a day when the current is strong the Gulf Stream is clear, you might slow troll with live bait such as Little Tunny or small Mahi Mahi. You won’t cover as much water this way, but live bait is certainly the most effective choice if you know Marlin are in the area. 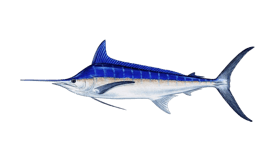 Bold and experienced fishermen have been known to catch Blue Marlin on fly rods, as well. If this is a challenge you’re ready for, try using a 12 or 13-weight rod with a reel that can hold at least 600 yards of micron backing. Marlin will bite popping bugs and flies. 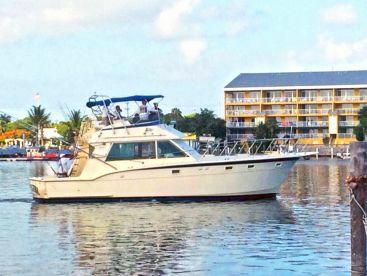 Marlin (Blue) fishing in Key West varies moderately throughout the year. High season is March, July and October. Low season is January to February, May, September and December. There is no closed season. Had a great time caught 4 fish 2 got a way will be back this Summer to fish for Marlin and Sail Fish Eddie the First Mate was bar none the very best. 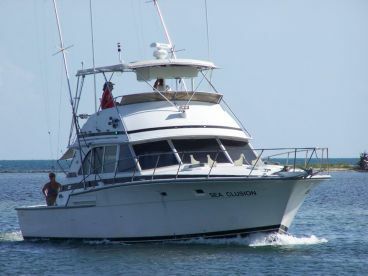 Cant imagine rhat there is better fishingcharter in Key West. The boat is realy nice and the crew is excellent. Caught a realy nice wahoo +45 and some barracuda. But the highlite was that we got a Blue Marlin +400 on the hook for over an hour. That was a memory for life to feel that crazy power on the hook.